Almost a third (32%) of consumers surveyed globally by PwC plan to buy an AI device including robots or automated assistants, with retailers watching closely as ‘voice commerce’ develops in the home. The findings are published today in PwC’s Global Consumer Insights survey, which assesses the shopping behaviour, habits and expectations of over 22,000 consumers in over 27 locations. The study reports that 10% of respondents already own artificial intelligence (AI) devices, such as robots and automated personal assistants like Amazon Echo or Google Home, and 32% said they plan to buy one. Both consumer and retailer habits and offerings still need time to adapt however, to make the most of the new voice commerce channel. Interest in the devices is strongest amongst consumers in emerging economies including China, Vietnam, Indonesia and Thailand. Demand is generally lower in developed countries. Brazilian and Chinese consumers surveyed are twice as likely (59% and 52% respectively) to plan to own an AI device, as their American (25%), British (24%) or French (25%) peers. Italy and Poland also showed strong interest with around 40% of respondents planning to buy an AI device. In addition to the growing popularity of AI, mobile devices are gaining traction with global shoppers. Mobile purchasing has more than doubled in six years to 17% of all shopping, and is likely to soon overtake computer purchases (20%), which now accounts for only one in five of purchases made. Convenience is also playing a part, with half of all respondents using smartphones to pay for purchases in store. E-commerce continues to dominate – 59% of consumers are shopping with online retailers - which has transformed shoppers’ expectations about shipments. 41% of respondents say they would pay an extra charge for same-day or faster delivery, 44% for a specific time slot, and 38% would consider a drone as a delivery method. But despite the dominance of the big online retailers, there is still room for physical stores to thrive. For the fourth year in a row, the number of respondents who say they shop at a bricks and mortar store on a weekly basis has risen, this year by 3% to 44%. “Traditional retailers could be at an advantage as shopping behaviour in stores shifts more to the experience than just shopping,” comments John Maxwell, Global Consumer Markets leader, PwC. Both online and in-store, social networks remain the biggest influence on consumers looking for inspiration for purchases, despite consumers reporting a small dip in their influence (from 39% to 37%). Social networks’ influence is highest in the Middle East (70%), Indonesia (58%) Malaysia (58%) and China (52%). On data privacy, the survey reflects the ongoing tension for retailers on customer data. 41% of respondents are comfortable with retailers monitoring their shopping habits to tailor special offers for them. Conversely, over a third (37%) of consumers are protective about their privacy, and opposed to retailers identifying when they are nearby and targeting them with offers. The annual survey also finds encouraging news about consumer confidence despite concerns about depressed spending and investing. Globally, the majority of consumers surveyed plan to spend the same or more as they did last year, with 38% maintaining the same spending as last year, and 37% planning more. Since 2010, PwC has annually surveyed consumers around the globe to track shopping behaviour, and then chronicled these findings on the future of retail in the Total Retail series. In 2018, the survey was renamed PwC Global Consumer Insights. 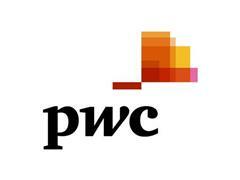 PwC interviewed 22,481 consumers in 27 countries and territories. 49% male and 51% female. Spending confidence: Of those respondents who planned to spend less or already holding back (23%), most were concerned about fuel prices, recession and inflation, which directly impact their purchasing power. The top three external factors cited as areas of concern were fuel and gas prices (46%), economic recession (45%) and inflation (44%). The factors of least concern were global warming (11%), trade protectionism (10%) and Brexit (10%). Mobile payment: When in store 46% of respondents say mobile payment is their preferred method when purchasing in-store, 47% say they are more likely to shop with a retailer who offers mobile payment, and 42% say they are more likely to spend more when using mobile payment. The top three factors influencing shoppers other than price, are having the goods in the stock (37%), a trusted brand (35%) and a good location (31%). In China, trust is the top reason for choosing a brand. PwC Consumer Insights: Where people are shopping.